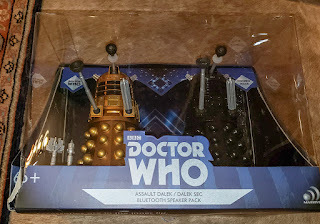 Dawn gave us this cute Dalek speaker set. Andreas needs to connect it to the Echo. Then maybe we could say "Alexa, exterminate!"